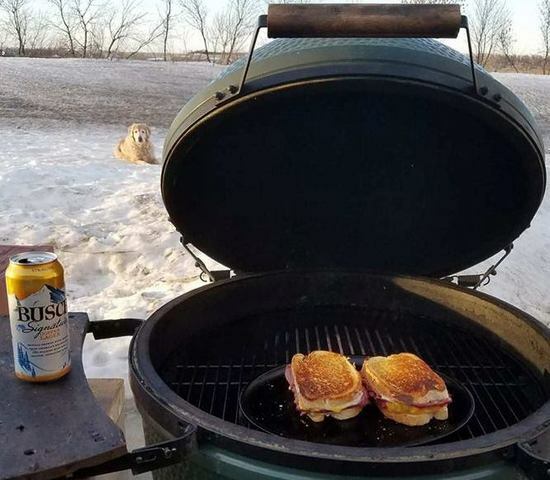 Our faithful grilling buddy Grissom hanging out on the snow bank keeping an eye on dinner! 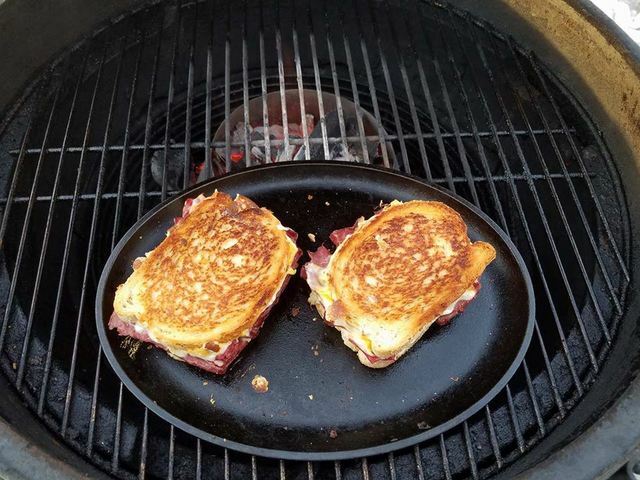 Grilling the sandwich with indirect heat from the Vortex on cast iron. 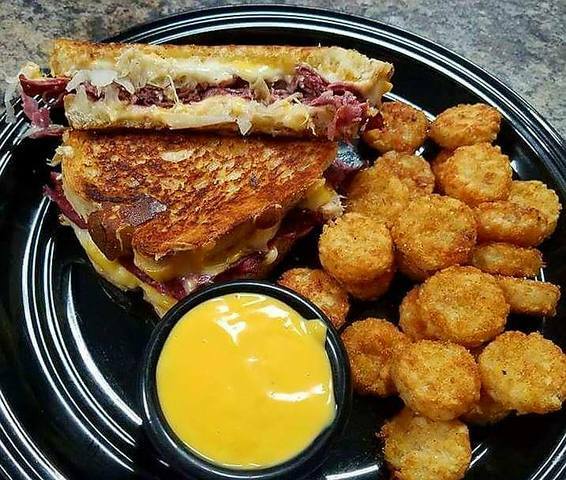 Grilled pastrami, sauerkraut and cheese sandwich served with seasoned tater tots with a side of nacho cheese. that's a nice looking meal.